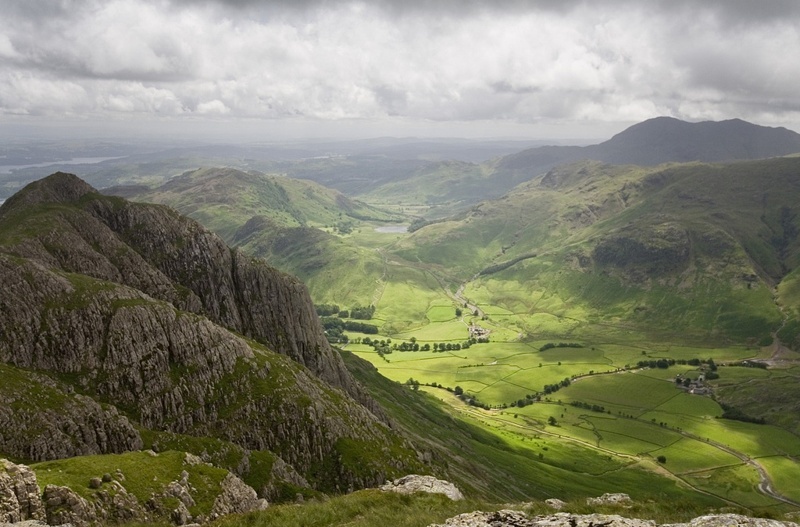 Where was Snow White and the Huntsman filmed? Once upon a time, before the Walt Disney factory made its mark on our collective memory, fairy tales were not as sugary and child-friendly as we now know them. In fact, these stories were as cruel as child’s simplicity can be, violent and explicit, when the original tales were first compiled by the Brothers Grimm. Snow White and the Huntsman stars The Twilight Saga vampire Kristen Stewart, Chris 'Thor' Hemsworth and Charlize Theron (Mad Max Fury Road, Atomic Blonde). 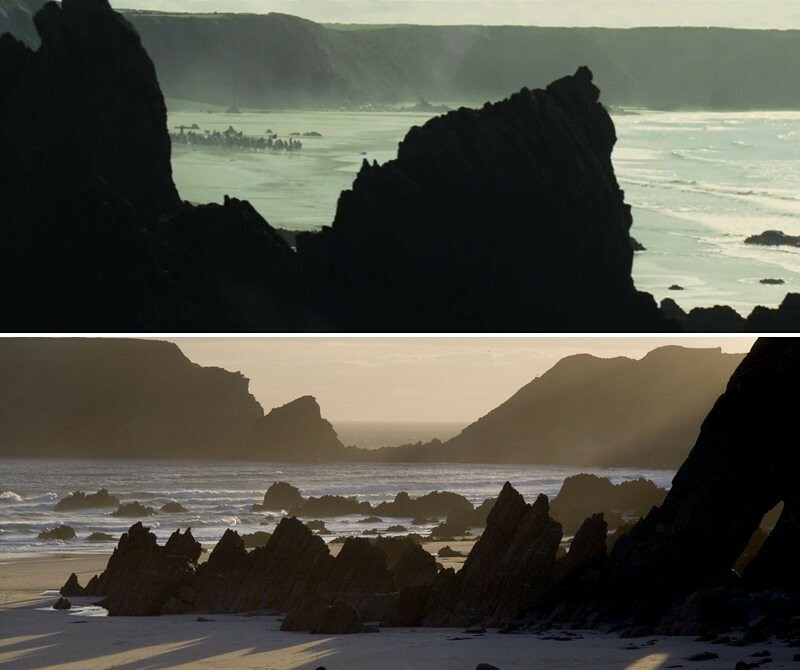 We don't know to what extent this film directed by Rupert Sanders returns to the literary origins, but in any case, it’s a great opportunity to visit some utterly beautiful British landscapes. 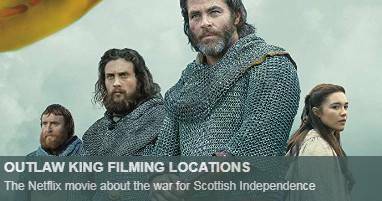 [Update: Following this link you can find the filming locations of The Huntsman Winter's War, also shot in UK]. 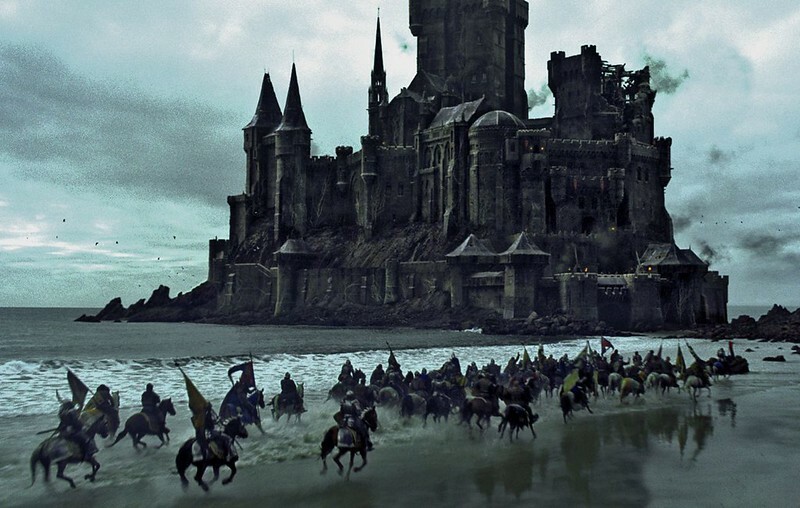 Fantasy characters marching in single file above a valley, whilst the camera circles around them. Lord of the Rings Déjà vu? One day I'm going to make a video montage, pasting all scenes like this into a never-ending spinning loop :) Image courtesy of Universal Pictures. 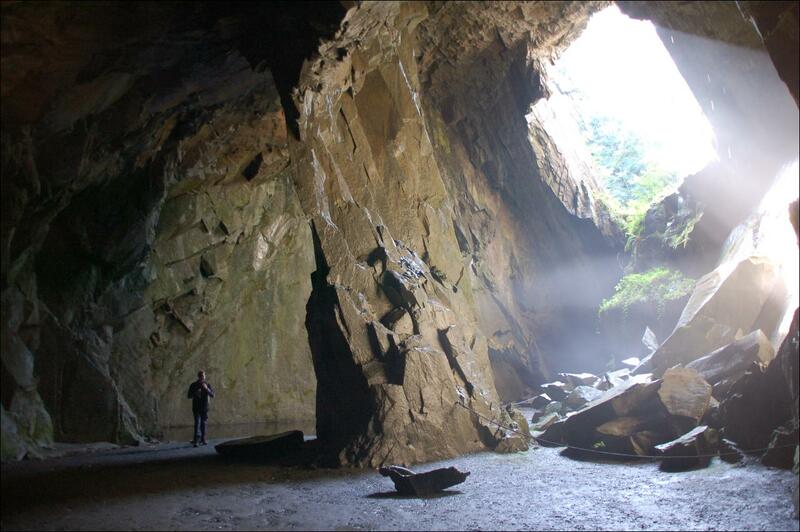 The Cathedral Quarry, or Cathedral Rock, can also be found in the Lake district and features many interconnected human-made caves, including this notable chamber, standing out at 40 foot (12 meters) high. 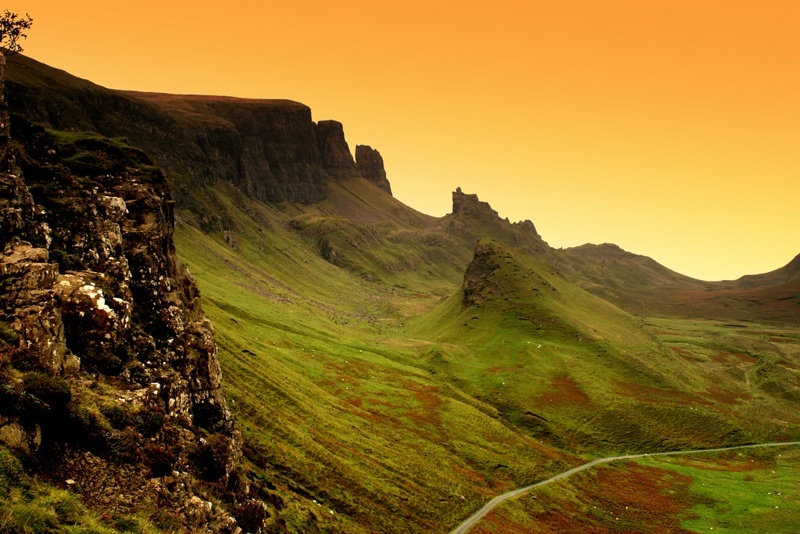 The movie also has been filmed in Skye in Scotland, using the same mountains that appear in Prometheus. 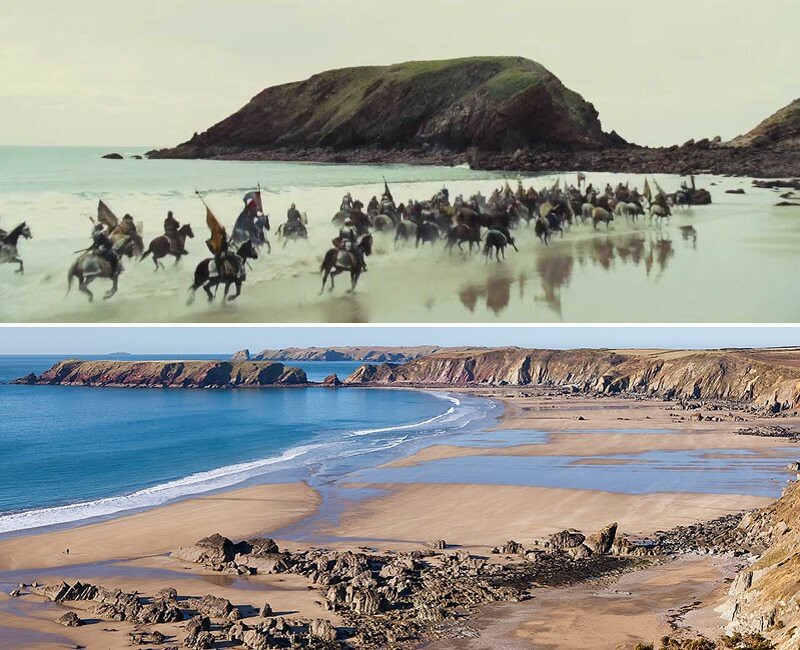 Marloes Sands, in Wales, was the chosen location for an epic battle. 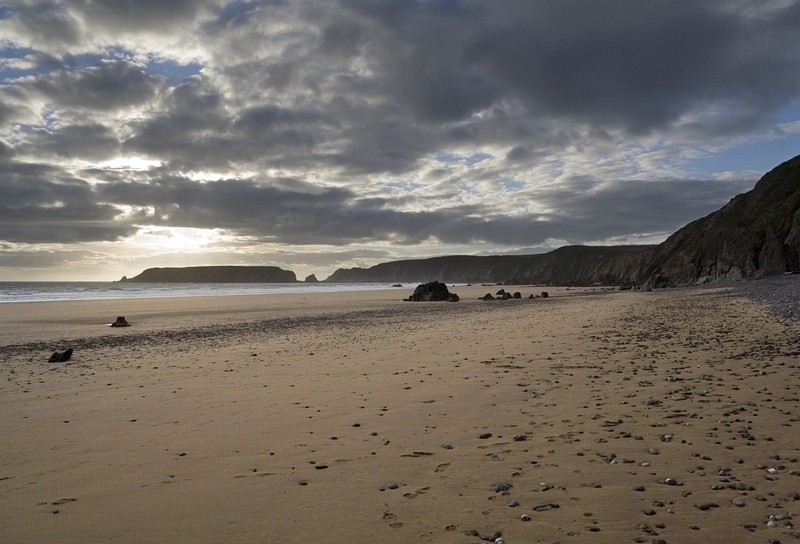 At the end of the beach sits Gateholm island, where the castle of the evil queen was added on top. It's curious how our creativity is built upon mashups of everything else we've seen before. There's a scene scene that reminds me of the outstanding music video Frozen from Madonna, directed by Chris Cunningham in 1998. I'm talking about when the witch reveals her power to mutate into a bunch of ferocious ravens. 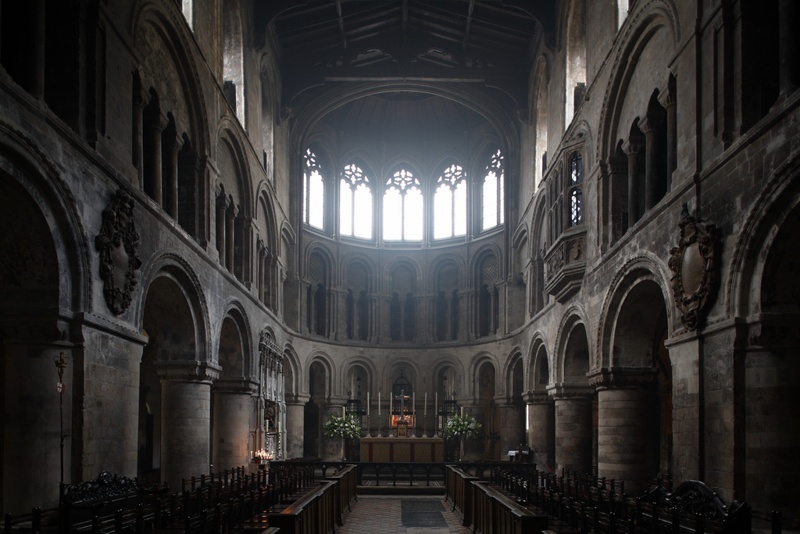 Also many settings are just mashups of several real locations that end up forming something new, like the columns from St Bartholomew the Great Church in London, added to the scene below. 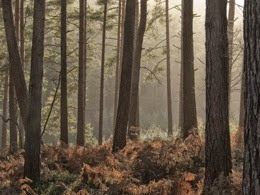 Many other settings, like the troll bridge or the castle, were built from scratch in Pinewood Studios, located only 8 miles away from Heathrow airport. 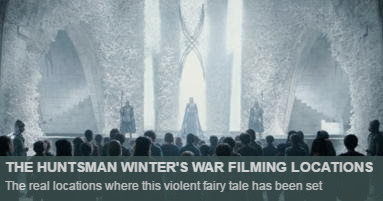 Image courtesy of Universal Pictures. 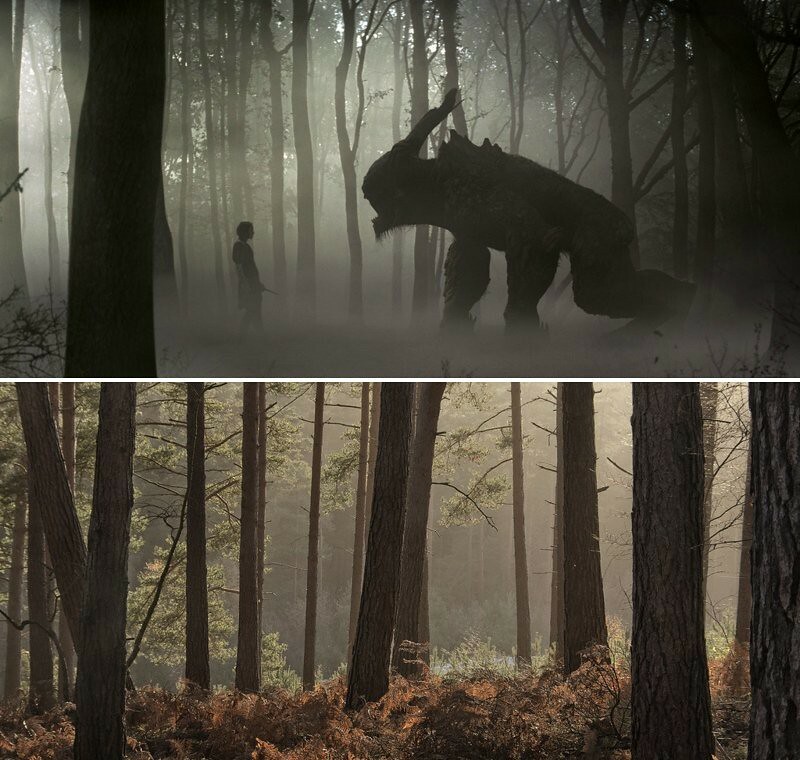 And many other bits and pieces of the film come from the talented artistic FX team, so we can only expect to visit them in our dreams. Image courtesy of Universal Pictures. 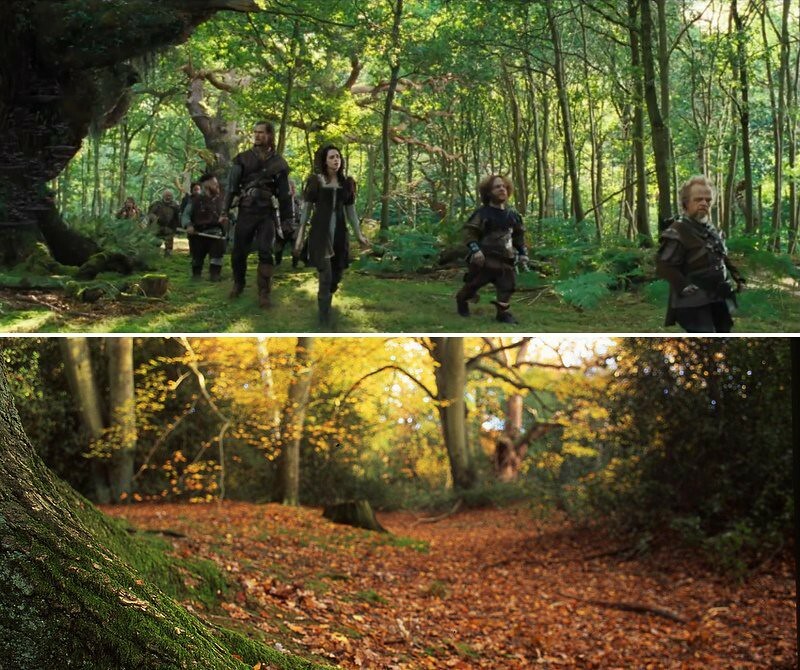 Can you help to improve this article about the filming locations of Snow White and the Huntsman? 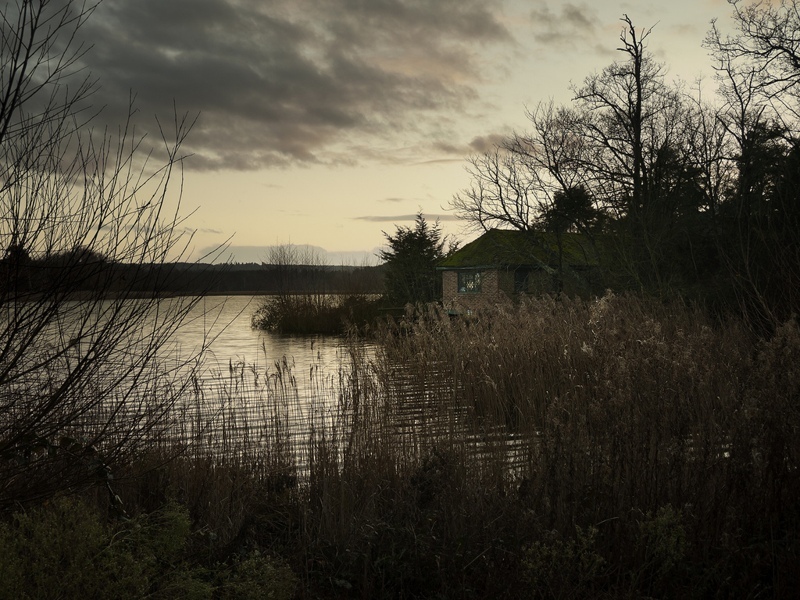 Frensham is not in south-east London. Frensham is a small village in Surrey, some 40 miles south-west of London. source: I took the photo. Haha, thanks William, definitely you are the best source to check this. Updated! It said east but the map is correct. 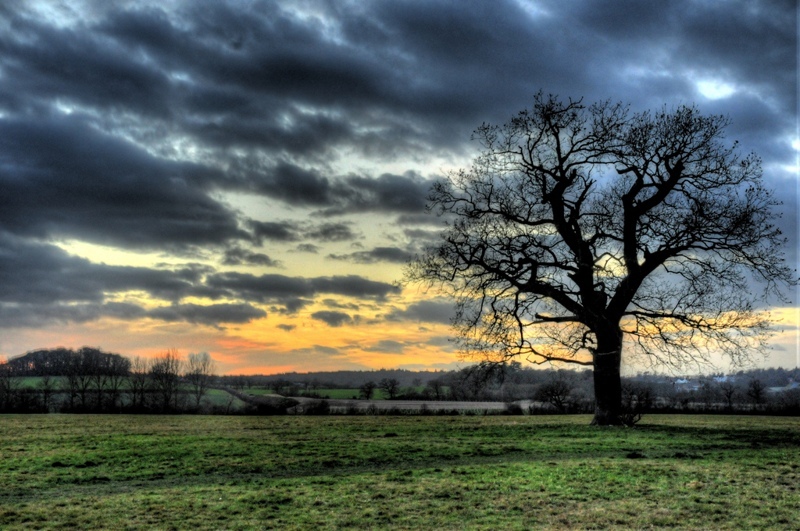 Many thanks also for your great picture!